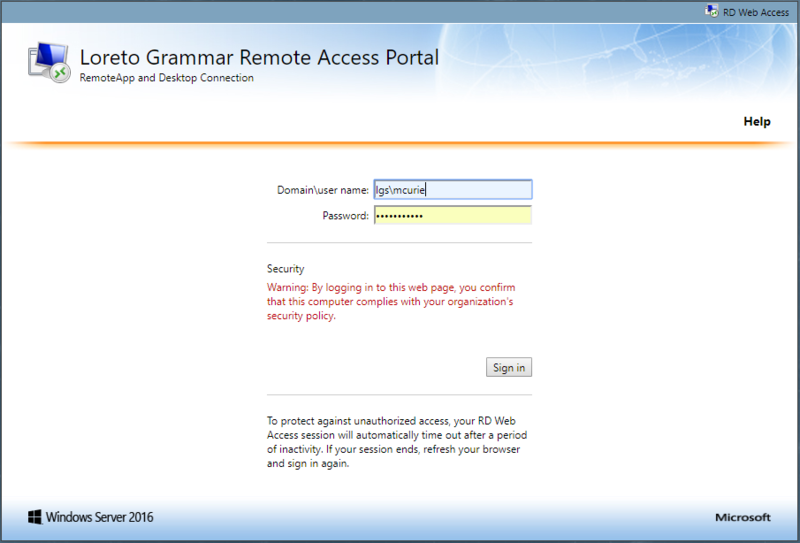 If you are already confident with how to access the RD server, simply click on this link. Otherwise, read through the instructions below before you click the link! Type "lgs\" followed by your username. 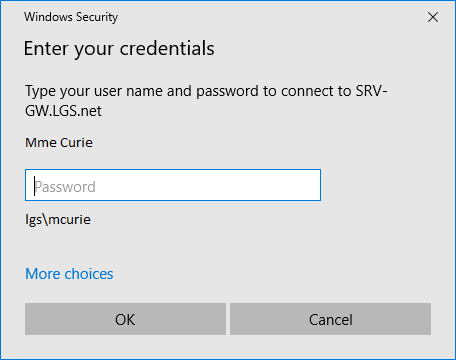 If your normal login username were "mcurie", you would type "lgs\mcurie". Note that character is backslash, found to the left of "Z" on most UK keyboards. Enter your normal login password. 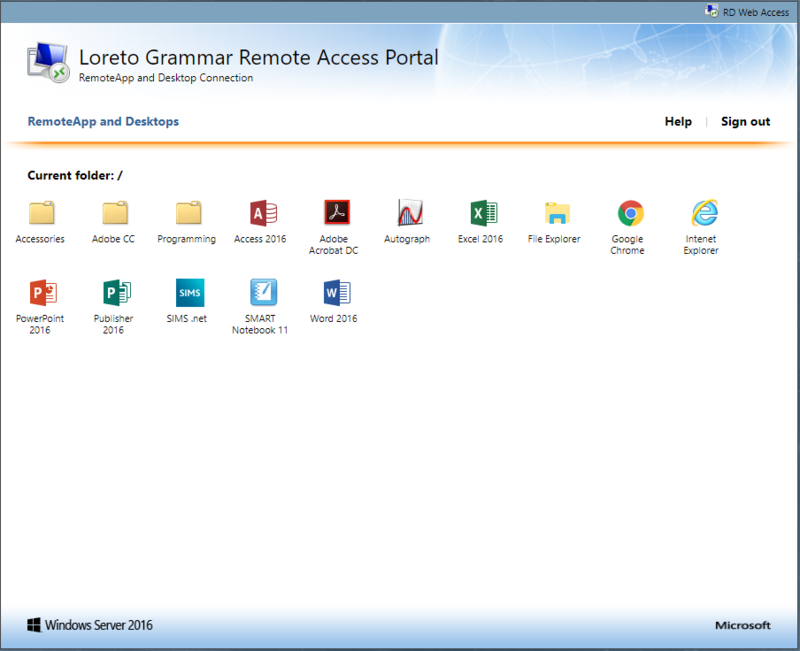 Click on the application you would like to access and your browser will download a small file. If necessary, open that file from your "My Downloads" folder by (double) clicking. All you need to do now is enter your password again, click "OK" and you are in! The most common mistake is forgetting to add "lgs\" before your username. Keep the file you've downloaded somewhere safe - like your desktop - and you can simply open it again to jump straight to step 6 without even needing to open a browser!